How was your Wednesday? It was likely better than that of Papa John’s Pizza founder John Schnatter, who resigned from just about every position he still held after it emerged that he used the n-word during a [checks notes] sensitivity training session. According to a Forbes report, last month Papa John took part in a conference call with a marketing agency brought in to prevent Papa from shooting himself in the foot again, as he did in November when he claimed that NFL player protests were hurting his pizza sales and [checks notes again] “white supremacists praised Schnatter’s comments.” Papa soon stepped down as CEO and the NFL ended its sponsorship deal, but the damage was done. 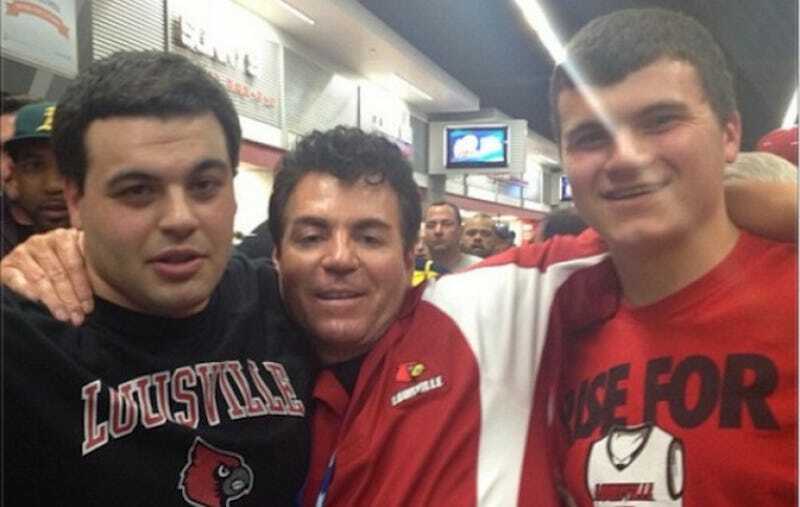 Papa John stepped down from the University of Louisville’s board of trustees. He had previously resigned from the Louisville Athletics Association Board. MLB indefinitely suspended its “Papa Slam” promotion with the company, where fans could get pizza discounts after grand slams. Papa John’s Pizza shares tanked by nearly five percent on Wednesday, wiping out $96.2 million in market value and reaching a two-year low. Papa John resigned as chairman of the board of Papa John’s. Papa John’s links to his beloved Louisville are not completely severed, not yet. The football stadium is still named Papa John’s Cardinal Stadium, and through what ESPN calls a “complicated” arrangement, the naming-rights deal is with Papa himself and not his company. And according to the contract, if Papa John leaves Papa John’s, he can rename the building.